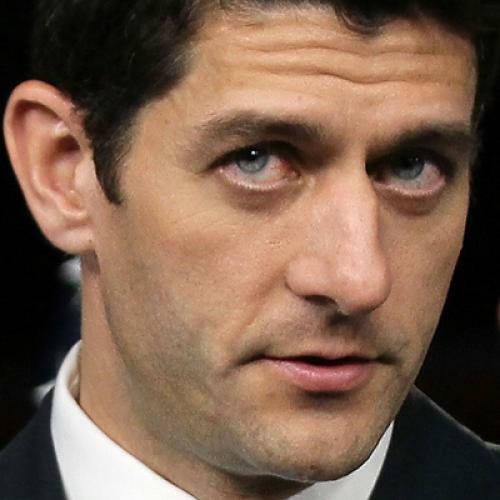 How Paul Ryan and the GOP are misreading the American people. As with any election, there are competing narratives about what message the voters were sending last November when Democrats got routed in the mid-terms. Each party has offered a view on the meaning of the election. In the Democrats’ view, an economically anxious electorate was focused on jobs and repudiated Obama’s party for not delivering on job growth. In this telling, voters did not reject a liberal agenda but saw health care and other issues as diversions from their immediate pressing economic concerns. And there is some evidence to support this view: Nearly two out of three voters picked the economy as the single most important issue in deciding their vote, and Republicans won that vote. Republicans, on the other hand, argue that voters threw out Democrats in record numbers because they recoiled at incredible levels of government spending. And, indeed, some exit polling showed that voters registered their opposition to a more activist federal government: 56 percent said the government is doing too much, while only 38 percent said the government should do more to solve problems. Meanwhile, 40 percent of voters favored deficit-reduction. Now, Republicans are intent on using their interpretation of the election to achieve their policy goals. They are offering a budget blueprint that slashes spending on Medicare and Medicaid and other government programs. Representative Paul Ryan’s plan dramatically cuts services to the middle class. As my colleague Jonathan Chait has pointed out, these cuts would be made by lowering taxes on the wealthy and corporations. The whole proposal, in other words, represents a giant redistribution of wealth away from the middle class toward the rich. As the Congressional Budget Office notes about Ryan’s plan for Medicare, for example, “most elderly people would pay more for their health care than they would pay under the current Medicare system.” What Ryan is really saying, then, is in the middle of this recession, after a decade of declining wages, the real problem in our country is that middle-class Americans have too many services and the rich have been too put upon. And he seems to think he has public support to back him up. But are Ryan and other Republicans about to walk over quicksand, fooled by the illusion of firm ground beneath their feet after the November elections? Do Americans really want slashes to programs that serve them? Evidence suggests not—meaning Paul Ryan is teetering on the edge of a cliff, threatening to take all House Republicans down with him. Even the Tea Party movement, whose momentum was built on outrage at government spending, seems to be waning somewhat; the movement’s rallies that once boasted huge numbers now bring only hundreds to the Capitol. As poll analyst Charlie Cook has pointed out, independents have also shifted to being more neutral toward government intervention in the economy over the last few months—from 60 percent saying the government was trying to do too much in October to only 47 percent agreeing with that idea now. (Or, seen from another angle, in the same time frame, people saying the government should do more has risen from 38 percent to 51 percent). And, perhaps even more ominous for Republicans, according to a recent Kaiser poll, 56 percent of Americans do not support any Medicare reductions, 35 percent support minor reductions, and only 8 percent support major reductions. The story is the same with Medicaid: 47 percent do not support Medicaid reductions, 39 percent support minor reductions and 13 percent support major reductions. Dress it up as he likes, Paul Ryan is proposing to do just what polls show the American people don’t want—to shift more costs shift to individuals, including middle-class Americans. And many House Republicans agree with him, although, already, a few members are refusing to embrace the Ryan budget proposal. Politico has reported that several more vulnerable Republican members, including Blake Farenthold, Sean Duffy, and Ann Marie Buerkle, have called the plan bold, yet not embraced the details. After every election, the victors try to define and act on their mandate. As Ryan and other Republicans rush through their effort to slash spending, however, they would do well to ask themselves whether it’s what the public really wants—or whether they’re woefully misreading the voters, and setting themselves up for disaster in the next election.